Worry doll notebook and pencil has been proudly handmade in Guatemala and is ethically sourced. There is a story that when the Mayas have worries, they tell them to the worry people who take their worries away. 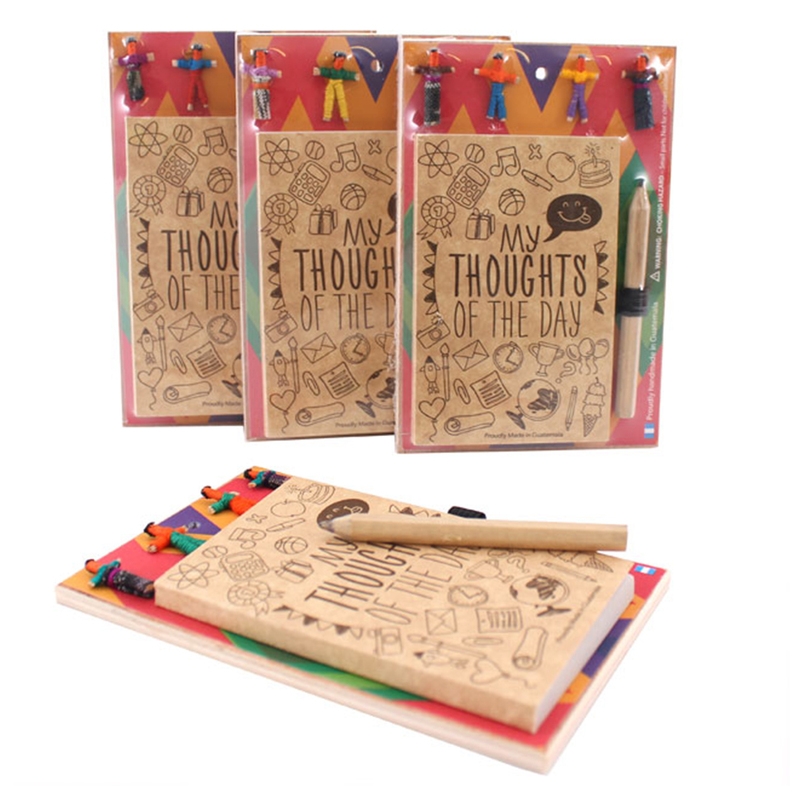 Use your Worry People Notebook to forget your worries.